Hello, friends!! 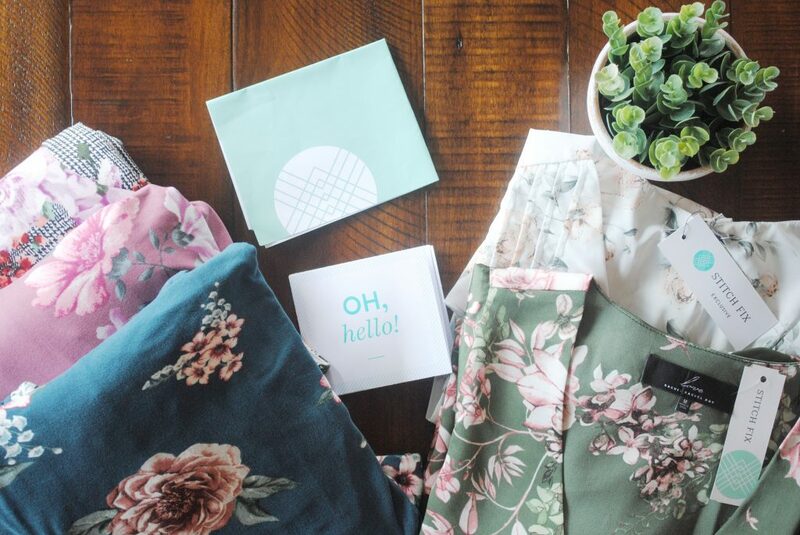 I’m so happy to bring you this September Stitch Fix Review! It’s September and we are busy in the field with harvest. Having items chosen for and mailed directly to me is the only way I have time to shop right now! Harvest is a super busy time for us where my husband works long days and I make millions of trips back and forth to the fields in my mini van toting kids, lunches, parts, and giving all the rides to the farmers as they move equipment! It’s a process, friends! 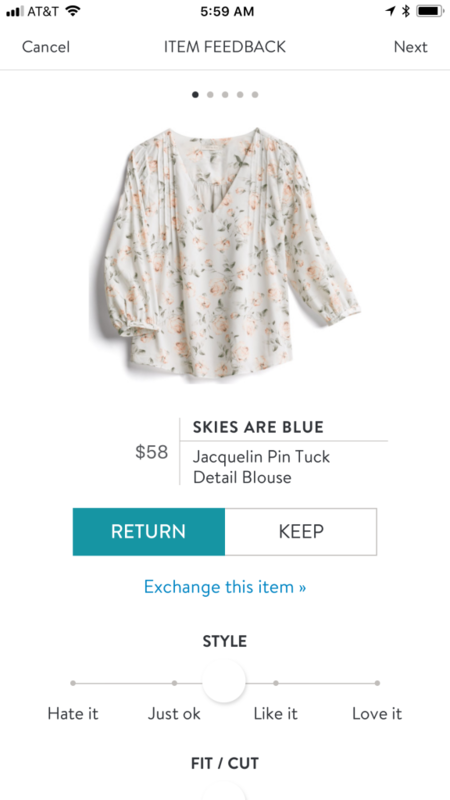 Stitch Fix, on the other hand, is not! 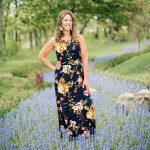 It is one of my favorite busy mama hacks because it streamlines the process of shopping and sends it all right to your doorstep! Last month I asked for a fall transitional fix with pieces that would work both in these last hot days of the season, but also easily transition into the cooler months of fall. This time I around, I asked for possible options for an upcoming family beach photo we’re having taken this winter. 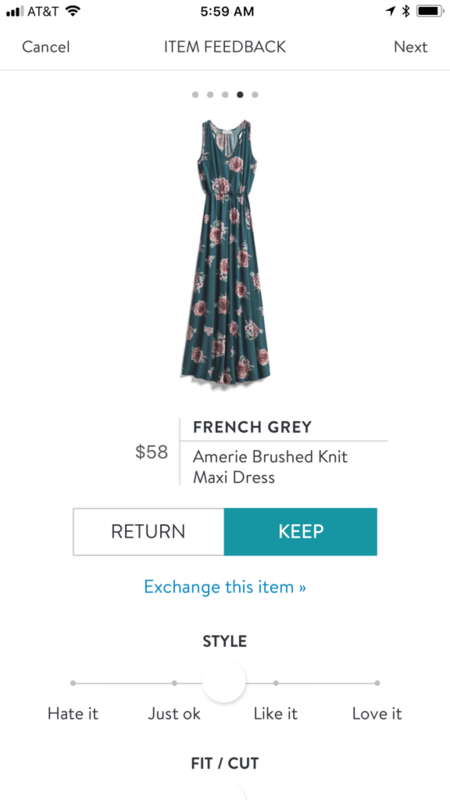 I specifically requsted muted, soft, and dusty blues, greens, pinks, and grays and then went even further by providing my stylist with our color scheme swatches on Pinterest on my Stitch Fix Style Board. I also requested both dress and top options that would work with the swatches. Skies Are Blue Jacquelin Pin Tuck Detail Blouse. To my stylist’s credit, this top works very well within the desired color scheme, and I do always love v necks. The pin tuck detail and small buttons at the cuff add nice detail. But, truthfully, my fondness for the shirt ends there. The colors are too muted for my skin tone and tend to wash me out even now with my summer tan. And while flowy can be a good thing, this felt too shapeless adding bulk and giving a sloppy feel. While I’m sure it looks amazing on some, it feels a little like I borrowed my grandma’s night shirt on me. French Grey Arielle Knit Dress. I really like the French Grey brand. 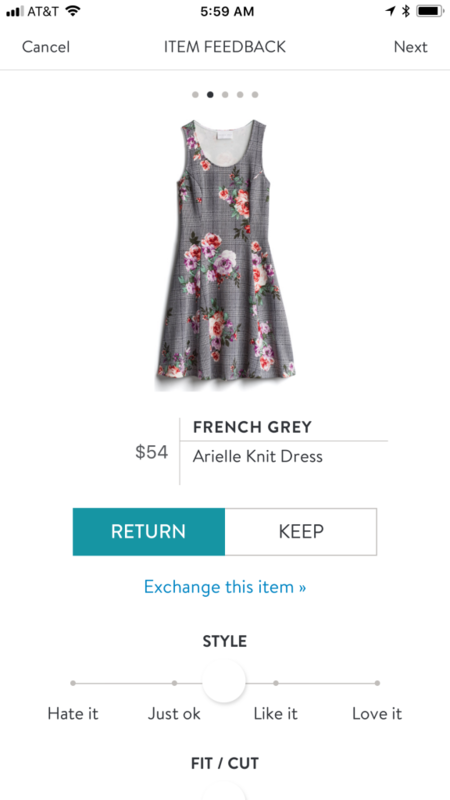 They provide nice quality pieces at an affordable price point and am always impressed with any French Grey piece Stitch Fix sends. I really loved the shape of this dress! It was extremely flattering with it’s fitted top and flared bottom. It’s also very comfortable and easy to wear. Honestly, I can’t say anything negative about the dress. It just isn’t exactly what I was looking for. The colors felt a little brighter than the color pallet we are using, and short dresses seem like a poor choice for family pictures with 4 children. I want to feel totally comfortable sitting in the sand or holding my little guy, and I don’t think I can in this particular dress. French Grey Amerie Brushed Knit Maxi Dress. I was super excited to see French Grey maxis in the fix because of the price and quality I mentioned above, but also they have a great long length. I am 5’9,” and it can be trickier to find maxis that are long enough for my height. This length was perfect. The brushed knit is the most amazing, soft fabric. And the teal and dusty rose colors fit perfectly in the color scheme. It has a great v neckline and racer back detail as well. So beautiful and easy to wear. French Grey Rosalie Back Detail Brushed Knit Maxi Dress. This dress is beautiful. The back strap detail adds a little something special. Again the length is great, and the brushed knit material makes already comfortable maxis, even more so (if that’s even possible). The dusty pink fits perfectly with the color scheme, and I highly recommend this dress. But…I don’t need it. 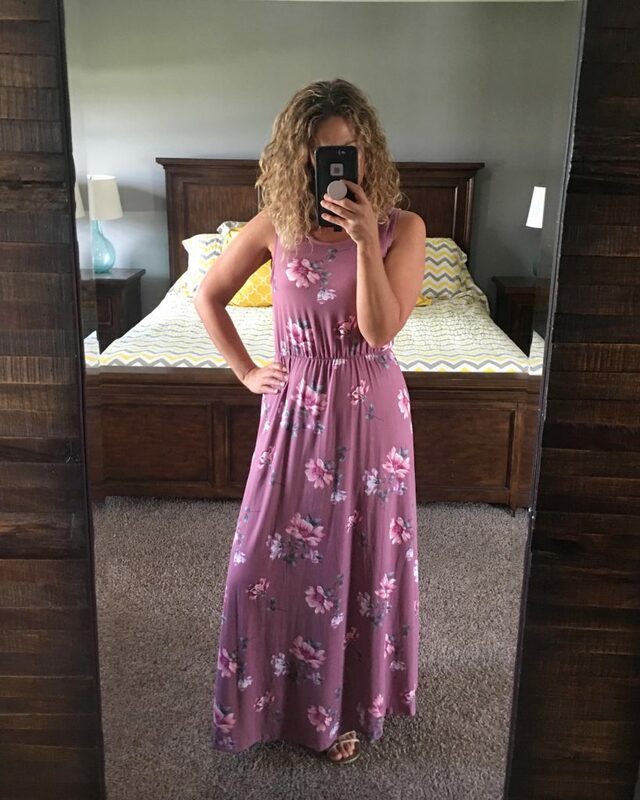 I loved the Amerie Brushed Knit Maxi Dress above and chose it over this one because I felt the more saturated color and fit with just a tad higher waist was more flattering on me personally than this one. 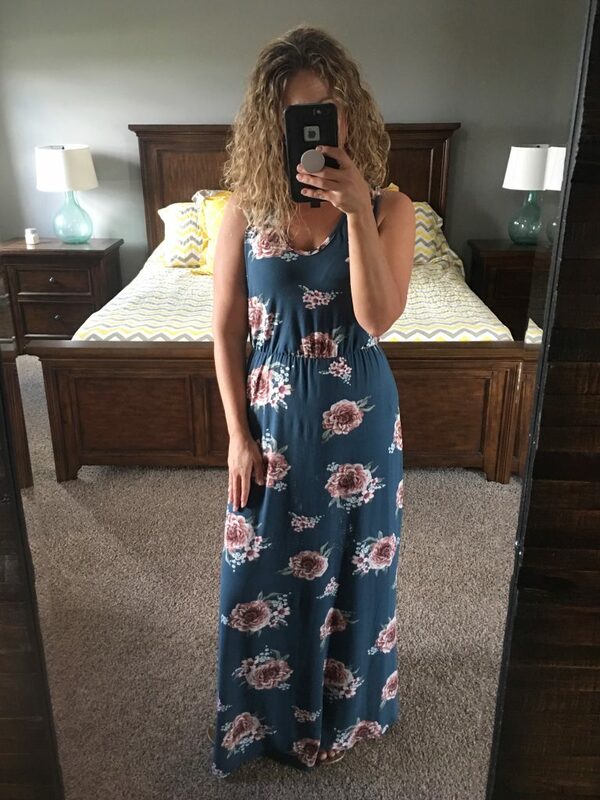 While I would love to justify keeping this dress anyway, I already have the French Grey Esther Brushed Knit Maxi Dress that you can see on my about me page, and do not need another floral maxi at the moment. 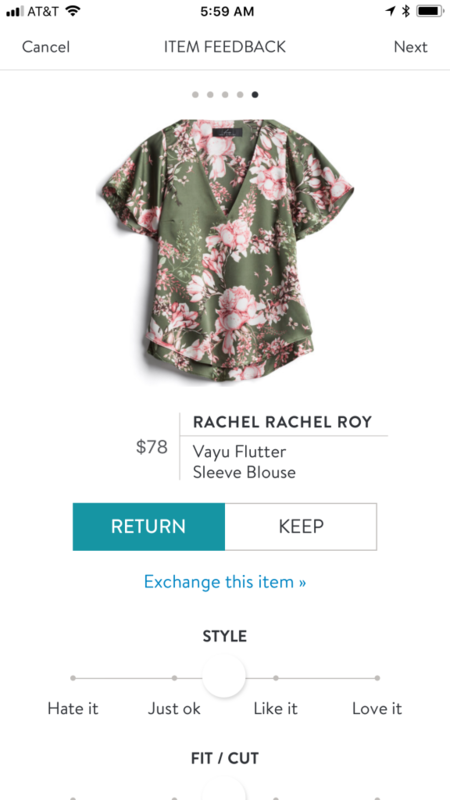 Rachel Rachel Roy Vayu Flutter Sleeve Blouse. This blouse is truly gorgeous. The deep v and flutter sleeves add feminine detail, and the colors are more unique making it just a little more special than most tops. And I loved how they fit well within the color scheme of our upcoming beach pictures. However, I struggle to justify paying $78 for a top. I also found it just a tad boxy on my shape. If you’re looking for a splurge, this top might be just for you though. It definitely has more of a luxe look and feel to it, and is beautiful. So what’d you think? Do you have a hard of a time searching for family photo outfits? I think it always feels high pressure to find just the right piece for everyone! 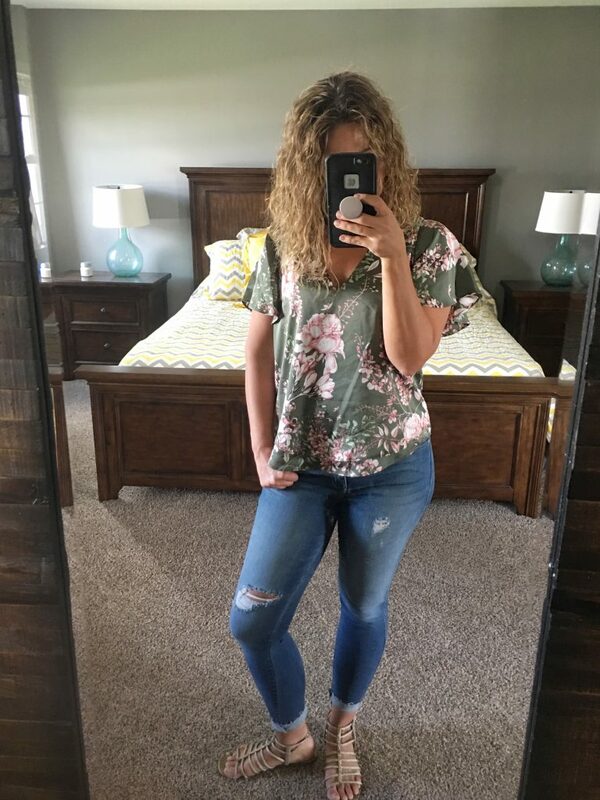 If you’re looking for more Stitch Fix inspiration check out my Stitch Fix Pinterest Board or these other Stitch Fix Reviews here, here, here, and here! Looking for tips to customize your fixes? 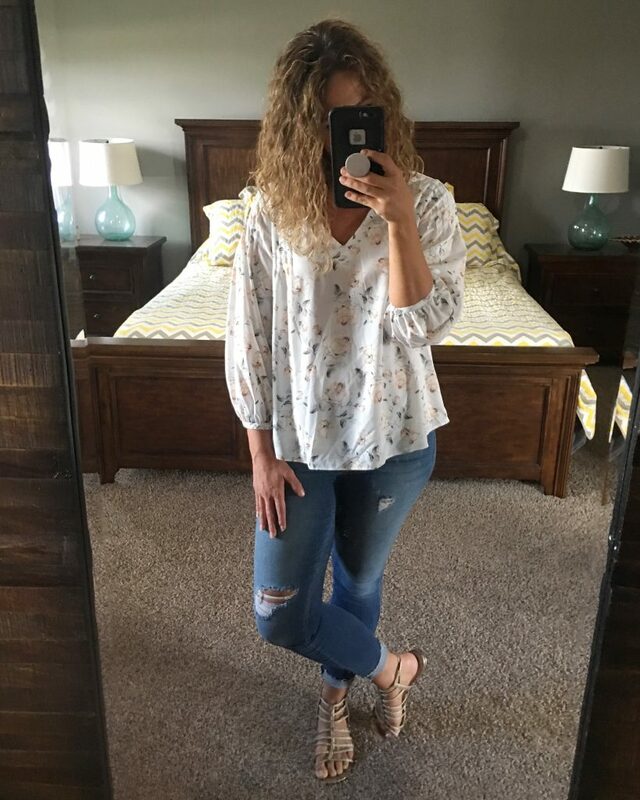 Hop over to my How to Get The Most Out Of Stitch Fix post! Happy Fixing! You so rock a maxi! That last floral blouse was super adorable too! Loving those florals for fall! Well, thank you!! I am, too!! I really loved the last one, just not the price!! A). Blogs that ask you to submit the complete article. I’m sorry. I’m not sure what you’re asking for. Can you clarify? Thank you! !